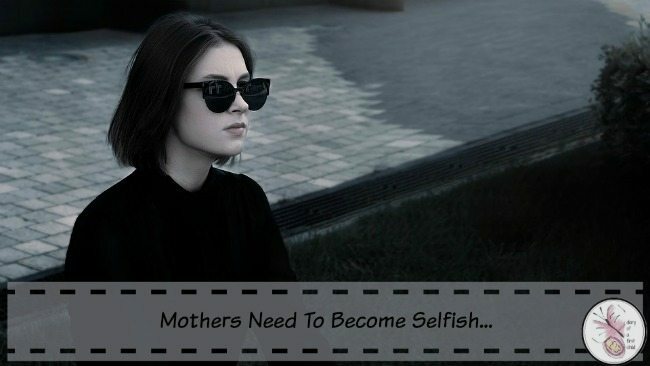 Mothers need to become selfish. No, I’m not talking about those people who are already selfish, and also happen to be mothers. The world has enough selfish people. 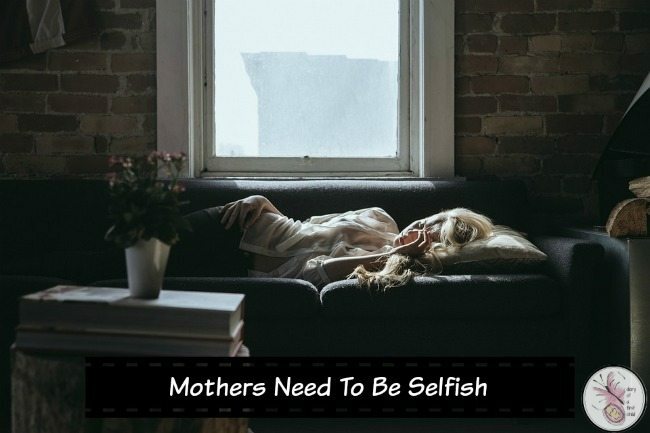 But good mothers – mothers who prioritise their children always, mothers who put their families first, those mothers, they need to become more selfish. This kind of selfish isn’t a bad thing. It’s the kind of selfish that they ask you to be on an airplane. You know? “In case of a loss of air pressure, please put your own oxygen mask on before you help others with theirs”. It’s a life-preserving selfish and I know many, many women who could do with adapting that philosophy into their – our – own lives. I realised this a few weeks ago. We were on holiday. It was incredibly hot, so we went for a swim, but while we were in the indoor pool the weather turned and it quickly became quite chilly. We left the pool wet, walked the half-mile back to our tent and the cold, wet children were hungry and wanted something warm to drink. They immediately set to getting their wet clothes off and warm things on, while I got the kettle boiling, and bread into the camping grill. No sooner were they dressed than they were ready to eat, so I set everything out on the table, mixed their hot drinks, poured them. Buttered their toast, spread their jam. Helped them get tights on, towel dried their hair. Helped them warm up. And by this time, I was shivering in my wet costume. It dawned on me that if I’m sick tomorrow, it’ll be my own fault. I was hungry too. I was cold too. But to be a ‘good mother’ or to preserve the peace and prevent whining, I didn’t take the two minutes it would have taken to get myself dried and dressed first. Two minutes that would have prevented a three or four day cold. The same week another thing happened that showed me that I need to prioritise myself more, now my children aren’t helpless infants. We had a lovely lunch that I prepared. Normally I’d expect the children to help me clean up, but I hadn’t been strict on it, since we were on holiday (and sometimes doing it myself is better than cajoling, chiding, or ‘encouraging’ them to help me anyway!) and they had been in the middle of a game when I’d called them in to lunch. I was feeling very very tired, and I was about to start tidying up lunch when I changed my mind. 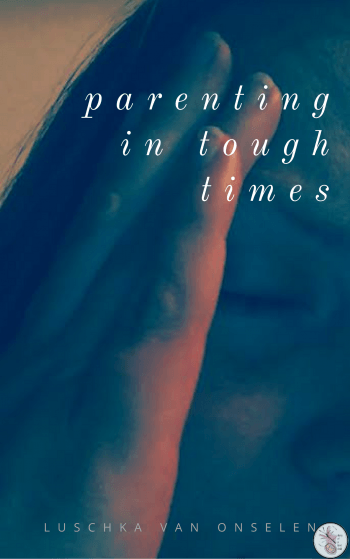 I knew how it would go: I would spend half an hour tidying while they played, and as I got ready to lie down for a few minutes, they’d start becoming impatient to go to the park, or the pool or whatever else, and off we’d go, with me still feeling worn out. So I left everything as it was, and lay down for half an hour. When they became impatient to go, I said we would go as soon as we’d tidied up the lunch dishes. Cue a few moans, sure, but everything was tidied up really quickly, and we left less than 15 minutes later, and I hadn’t had to do it all on my own, and it hadn’t culminated in a draining argument with me cajoling every single step out of them. Clearly there are some domestic things I need to address, like the fact that my children are in fact old enough to do chores, and should be helping out more. I’m aware of that. Society places so many demands on mothers. We are responsible for every little thing our children do, especially if it’s bad. We have to be giving, and kind, loving, but not hovering, giving endlessly and selflessly of ourselves, and we dare not complain, because then we’ve made a rod for our own backs, we need to nurture but not too much. We have to strike a perfect balance with weights provided by whoever it is that’s looking at us, and we have to get it right first time every time or risk the wrath and blame and judgement from everyone who knows how they’d do it better. And that’s not even taking into account the expectations we have on ourselves. By prioritising ourselves better, we teach our children too. They must learn to wait, because the world won’t always go at their pace. They must learn to help, because they won’t always be waited on. They must learn patience, not simply because it’s a virtue and will make them nicer people to be around, but because it will make their lives more tolerable, less frustrating. They must learn that while they may be the most important people in our lives, they are not the most important people in the world, and that compassion for others will go a long way. And we must know that if they are able to put their own plates in the sink, and choose not to, and we let them, we will be putting their plates in the sink till the day they leave home. And while I’m sure there are many mothers who are quite happy with that arrangement, most want a little more from life than to be slaves to the people they gave life to. If you find yourself exhausted, mothers, with a never ending to do list, and a chore chart that doesn’t end, learn to put yourself first. If you wake more exhausted than you went to sleep, learn to put yourself first. If you can’t remember the last time you did something for you, learn to put yourself first. If you don’t remember the last time you felt truly relaxed, or happy, or joyful, it’s time to put yourself first. Make a list of the things that wear you out about life, and see what you can delegate – even if just once a week. Become selfish.